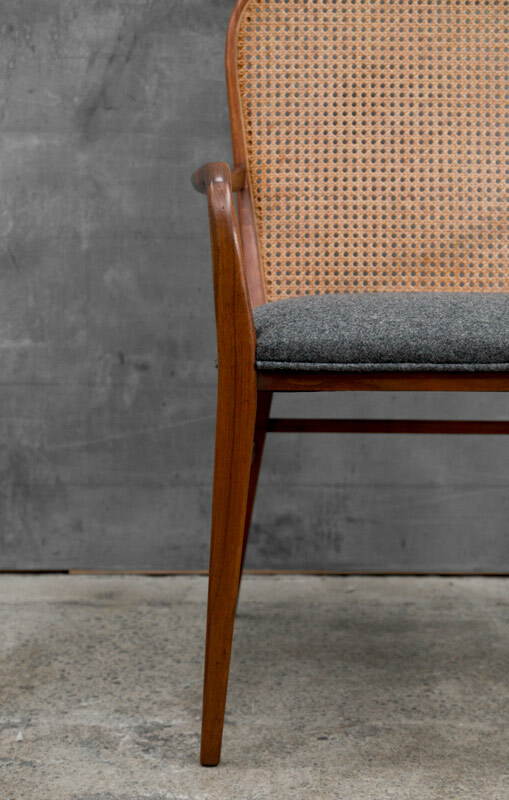 Walnut, Cane and Wool upholstery. 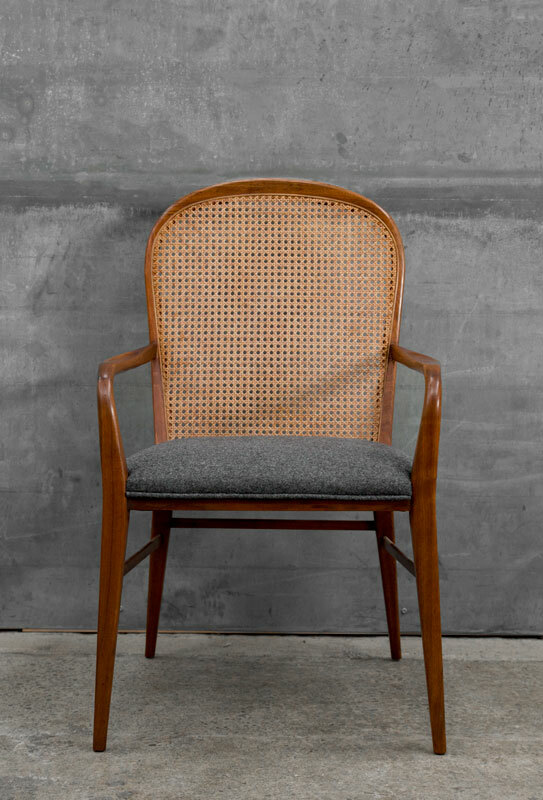 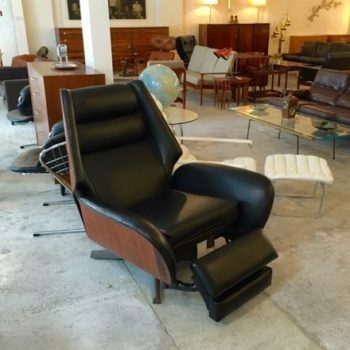 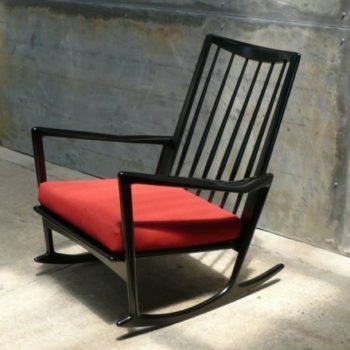 This rare pair of armchairs by McCobb were designed in 1962 and made by H.Sacks and Sons. 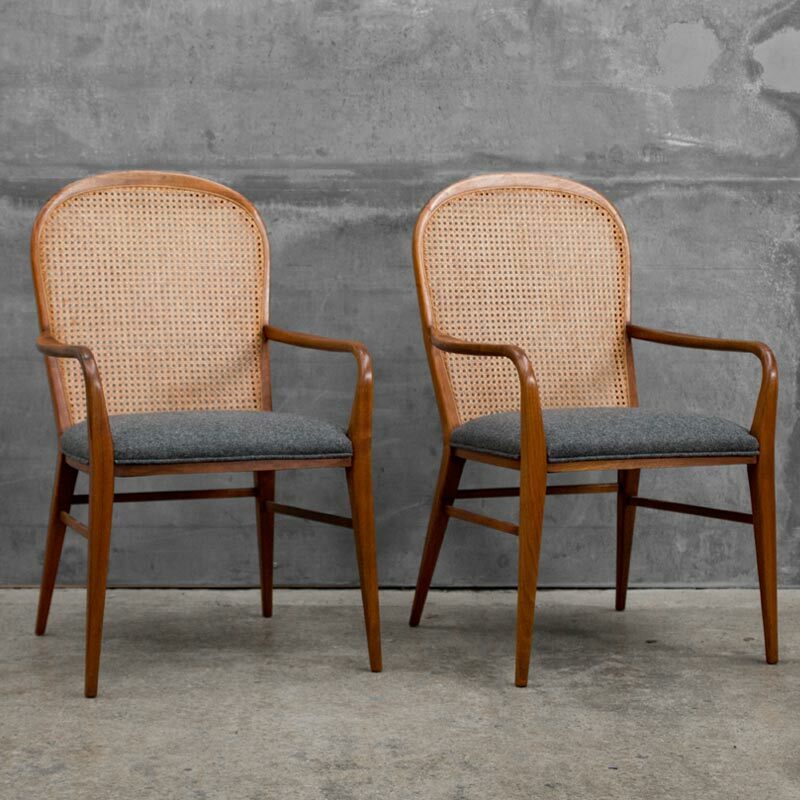 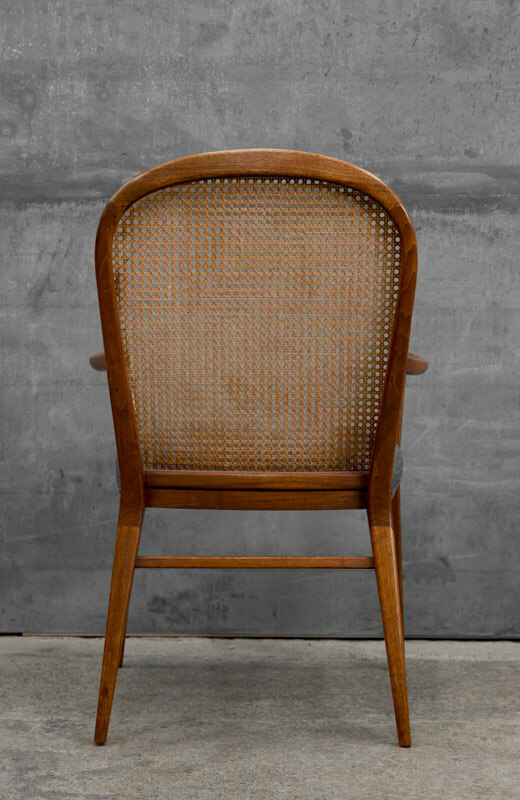 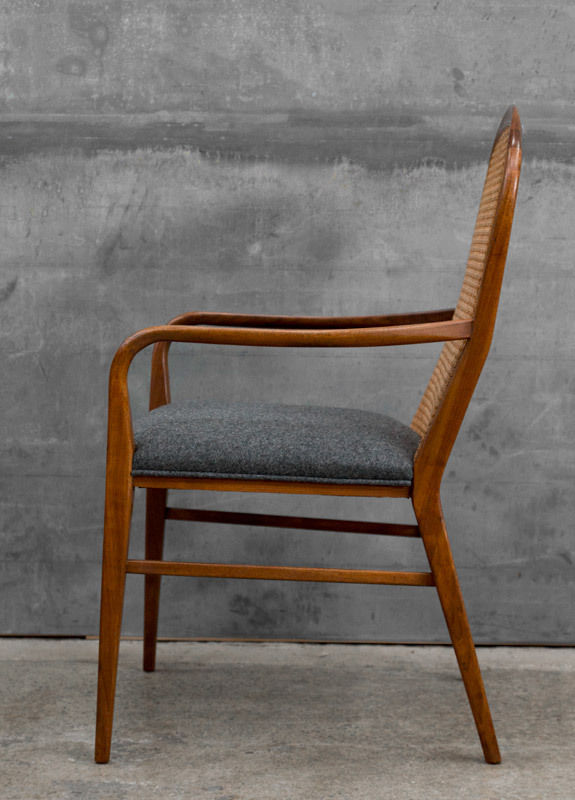 The delicately shaped frames are complemented by the caned backs and the newly upholstered grey wool seats.